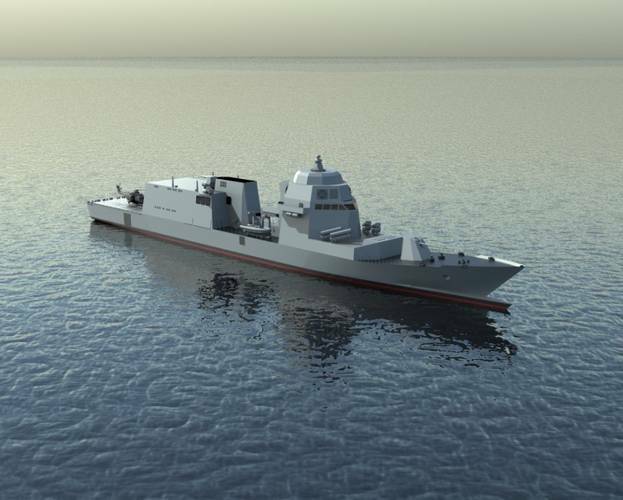 GE’s Marine Solutions announced it will provide a LM2500+G4 gas turbine that will power the Italian Navy’s new Pattugliatori Polivalenti d’Altura (PPA) multipurpose offshore patrol ship. The PPA’s hybrid electric propulsion system also will use GE’s shock-proof MV3000 drives and a GE-designed electrical network of motors as part of the propulsion system. Avio Aero, a GE Aviation business headquartered in Italy, will have the design responsibility for the gas turbine package. The PPA ship will be built by Fincantieri at its Integrated Shipyard of Riva Trigoso and Muggiano. According to Fincantieri’s announcement on this project, the PPA patrol ship will serve multiple functions from patrol with sea rescue capacity to civil protection operations. It will be 129 meters long, and will carry 90 crew members with additional accommodations for up to 171 members. “We are excited to be part of a project that will continue to modernize and strengthen the Italian Navy’s surface fleet,” said Tim Schweikert, President and Chief Executive Officer, GE’s Marine Solutions. “Our contract includes an order for one LM2500+G4 as well an option for six more LM2500+G4s. The ship’s flexible and unique hybrid propulsion plant will feature small gearbox mounted-motors for low speed operations, two propulsion diesels for mid-speed service and the gas turbine to reach more than 31 knots. We will also be responsible for the electrical system integration of the hybrid system,” Schweikert added. The PPA’s MV3000 drive developed by GE’s Marine Solutions will drive the electric motor to rotate the propeller in low speed operations. The hybrid motor and drive also can act as the generator to power equipment onboard the vessel, such as weapons and sensors. While conducting disaster relief operations, the PPA will be able to provide up to 2MW of power to the shore. GE drives can convert the frequency of the electricity generated to 50 or 60 hertz, allowing smooth shore connection whatever the location. The PPA program continues a long tradition of LM2500 power combatants in the Italian Navy with the selection of the LM2500+G4. Starting in 1977, the Italian Navy and Fincantieri were early adopters of GE’s LM2500 gas turbine for the Lupo-, Maestrale-, Artigliere- and Horizon-class frigates, the De la Pen-class destroyers, and the aircraft carriers Garibaldi and Cavour (equipped with GE gears). In 2004, GE’s LM2500+G4 gas turbine was chosen to power 10 FREMM multi-purpose frigates for the Italian Navy. GE is a longstanding partner in Italy, employing more than 12,000 individuals. At its facility in Brindisi alone, Avio Aero produces 20% of the worldwide LM2500 engine components. The LM2500 is GE’s most popular gas turbine used by 34 international navies and in countless marine and industrial applications. The Brindisi facility also serves as GE’s Center of Excellence for the overhaul and repair of GE’s LM2500 family of gas turbines and the LM6000 gas turbine, supporting both marine and industrial engine customers worldwide. In addition, the PPA program is an example of the "GE Store", whereby GE businesses share and access technology to provide customer solutions. 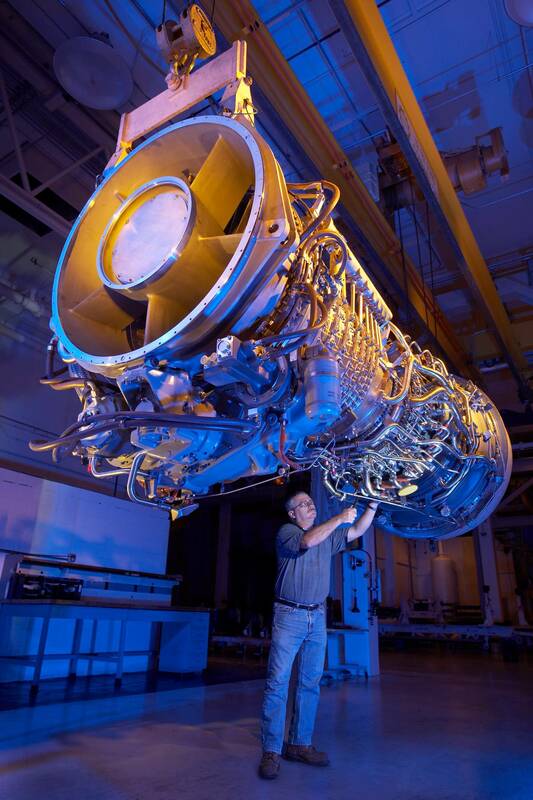 The LM2500+G4 gas turbine for the PPA program will be built in Evendale, Ohio; Avio Aero will manufacture the sophisticated turbine control system that is an integral part of the LM2500+G4 propulsion system at its facility in Brindisi; and GE Power Conversion will manufacture the drives. Avio Aero, headquartered in Turin, Italy, is a GE Aviation business. Avio Aero is a leading player in the design, manufacture and maintenance of civil and military aeronautics components and systems.